I have often wondered why in the world there wasn’t a Star Wars character meal. I get asked all the time about one. That makes this announcement all the sweeter! 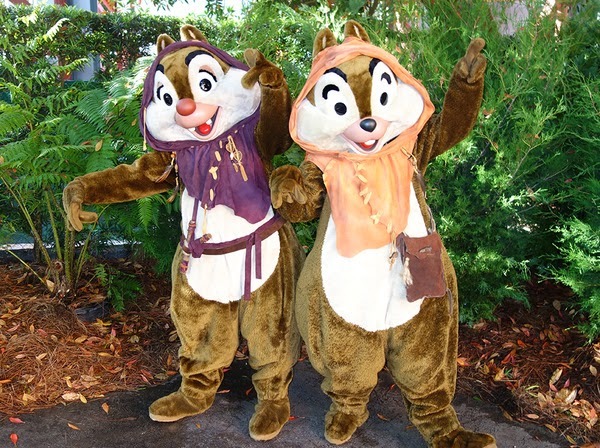 There’s going to be not one but two character meals this spring at Walt Disney World during Star Wars weekends! I predict these get booked within hours of opening up today. For those of you that know me well, you know I don’t do Star Wars Weekends personally because I am just not that into Star Wars. My sons and husband are. I love them for my clients and really think that you can’t beat them if you are really into it. This is a game changer for me though. YES I want to meet the Star Wars characters at a character meal! And you should too! Star Wars Galactic Dine-in Breakfast- 8am until noon, weekends only at you guessed it, the Sci Fi Dine In Theatre! 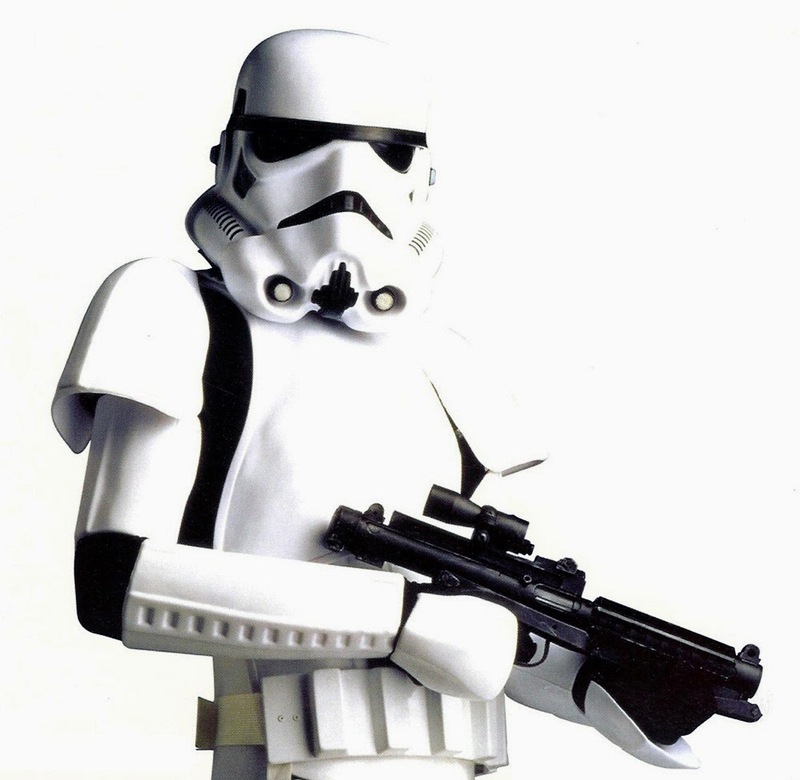 You can expect to meet some or all of the following characters: Boba Fett, Darth Vader, Greedo, Jawa, and Stormtroopers. I can hear some of you passing out from excitement as you read this. Star Wars trailers and movie clips will be shown while you dine. It is $47.99 for adults and $29.99 for children(3-9). What better way to start your day at Disney than with this guy?? Jedi Mickey’s Star Wars Dine Dinner, 4:15 pm until 8-9:30pm(ending time will vary based on park hours) at Hollywood & Vine. 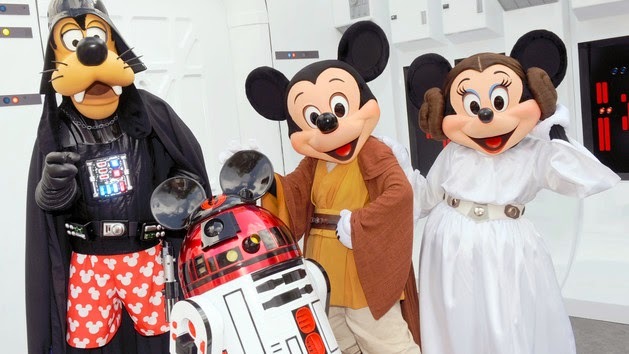 You will meet Jedi Mickey, Leia Minnie, Darth Goofy, Stormtrooper Donald, and Ewok Chip & Dale. It is $56.99 for adults and $32.99 for children. If you want to also include Fantasmic! seating in your price it is $59.99 for adults and $36.99 for children. 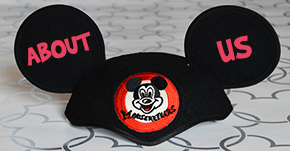 For that price of course you want to add Fantasmic! to your package. *as an update to the times. Every single one I was able to get was either 4:30 or 5PM. Nothing later showed up but there was not a clear answer as to if they were just not available or if that was it. Fantasmic packages for sure would have to be that early but I wasn’t getting availability for non Fantasmic reservations later. The Disney Dining plans will be accepted for both meals and they are going to be two table service credits per meal. I will be on the phones first thing booking these for our existing clients. I hope to have great news for everyone later today. If you are ready to make your Star Wars dreams come true, contact us today! Mama Monday : Star Wars Weekends, to dress up or not? Hi Mamas! Star Wars Weekends at Walt Disney World are a ton of fun! You may not realize it if you haven’t been before but people dress up for this event. I would say as much as Halloween at Disney! The first time I went to Star Wars Weekend I had no idea what to expect(this was many years ago). The kids in costumes were the cutest. Now if you are crafty, I am sure you have no problem coming up with a costume idea. But the rest of us mamas need help. Etsy is my friend when it comes to craftiness that I am not gifted with! 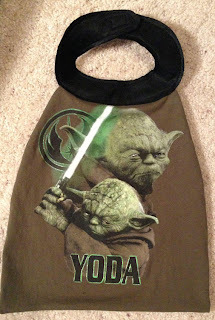 Please note that I have personally not purchased from the following Etsy shops, these are just items I find to be pretty cute for your little Jedis! This is perfect if you want something but not necessarily a full blown costume! Plus remember it is HOT in May and June in Orlando. This cape will work with any shorts and tshirt combo to keep your little Yodas cool too. For those of you that want to go all in-these costumes are perfect! 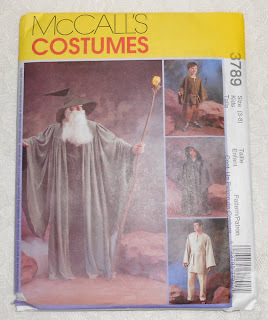 And for those of you that are crafty but need a pattern-check out this vintage pattern set you can buy and sew your own! And a slight variation to the above options is to go themed but not actually in a costume. For that I love OMG Adorable! This is someone I know and love dearly. I purchase from OMG quite a bit and her work is OMG ADORABLE! This is her facebook shop. Her shop will reopen this week. 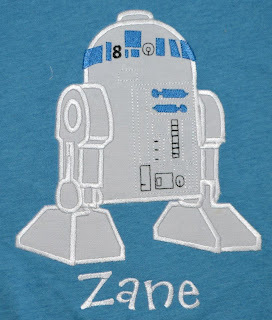 My kids have all kinds of her shirts. 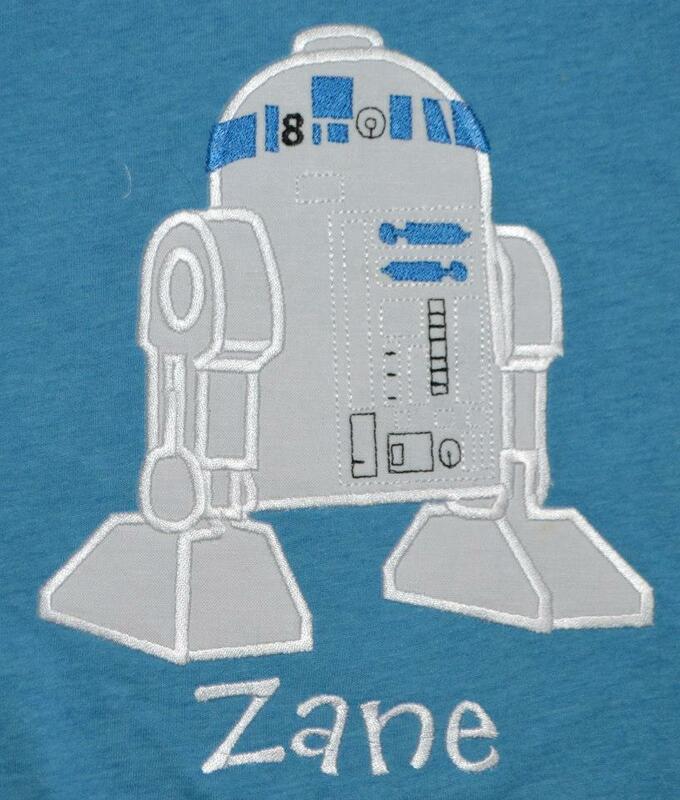 The quality is outstanding and the kids love them. Check out her albums and you are sure to find something and if you don’t see what you want, just message her and she will find it for you. 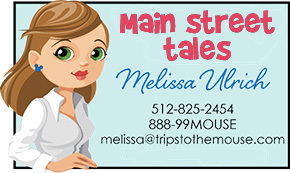 Tell her Chick Melissa sent you over! 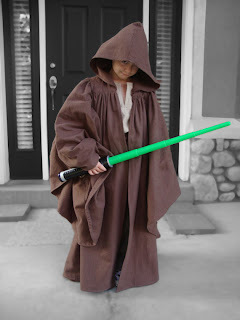 Dressing up your Jedi Learners in their Padawan gear has never been easier! There’s something for everyone out there. Have fun with it! There will be some pretty elaborate people out there to check out and it’s fun to get dressed up!